A susbstantial Rollo link chain with a 1909 Military Award from France. 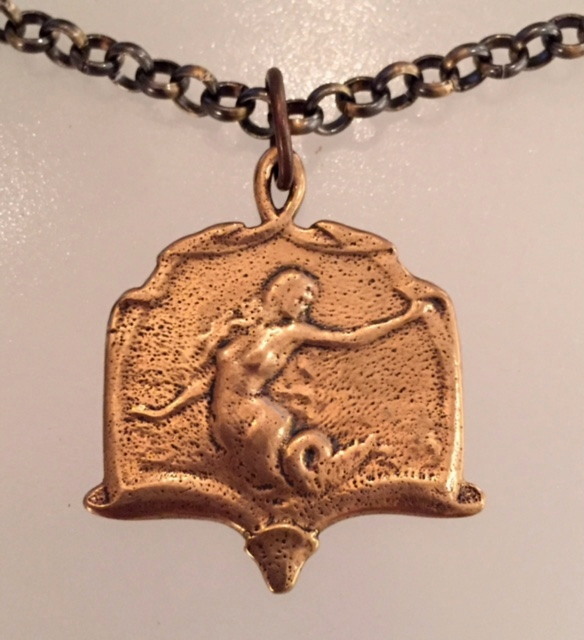 This solid Bronze Mermaid, cast from the original Art Nouveau French piece over a century old, this lovely reproduction is hand crafted. 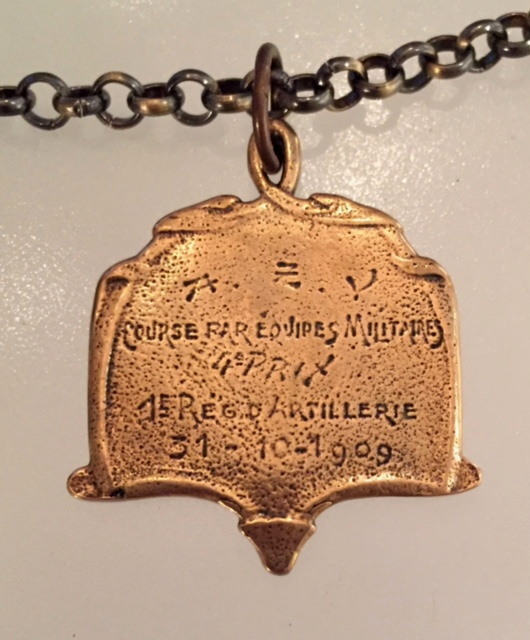 This piece is actually a military award for a course for military equipment from 1909. We adore the shape and movement of this delicious medal, a rare find indeed. Prix tranlates to Place in French. (Chain is 22" L. (be ordered in any length). Medal is approx. 1.25" w by 1.50" tall.